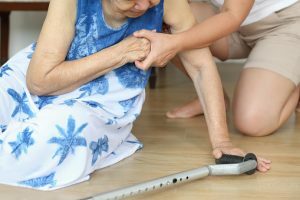 The dangers of adult bed rails to the elderly – particularly those suffering from Alzheimer’s disease or some other form of dementia – have been known for some time. However, as The New York Times has reported, despite more than 150 deaths and and nearly 37,000 emergency room treatments from bed rail injuries, neither the U.S. Food and Drug Administration nor the U.S. Consumer Product Safety Commission had done anything about it. Both agencies bickered over which hadregulatory authority, warring over whether the rails were medical devices (the FDA’s territory) or consumer goods (under the CPSC’s purview). That is now changing. The Buffalo personal injury lawyers at The Law Offices of James Morris note the FDA has assumed oversight of the rails, deeming them medical devices. They are now working to organize a committee to update voluntary standards for manufacturers. Bed rails, if you aren’t familiar, are the plastic or metal bars that are used on some hospital beds and in home care to help patients pull themselves up or help them get out of bed. They can also prevent people from falling out of bed. However, they have proven to be especially dangerous to adults with dementia. The FDA reports that of those adult bed rail deaths reported over the last decade, most occurred at home. However, 25 happened at nursing homes, 15 at assisted living centers, and 3 at hospice facilities. The most common causes of death or injury related to bed rails were falls and entrapment. In cases of entrapment, victims were reportedly stuck, wedged, caught or trapped between the mattress and the rail bars or between the toilet and the rail. In some cases, victims were stuck between the floor and the rail or the headboard and the rail. Most commonly, it was the head and/or neck that was caught. Other injuries were seen to the lower leg and foot, as well as to numerous scrapes and cuts and sometimes broken bones. Falls, on the other hand, generally happened when a person fell off the rail, climbed over it or fell because the rail wasn’t properly raised. The new FDA committee will be steered by ASTM International, which is responsible for developing and publishing voluntary technical standards for a large array of products. It remains to be seen whether a new set of updated voluntary standards for the product will have much impact. Rep. Edward J. Markey, D-Mass., has been an outspoken advocate for reform with regard to adult bed rails. He called the response “tepid,” saying that voluntary standards were implemented before, and people have continued to suffer injury and death. He’s skeptical that this effort will be different. The FDA first received warning of numerous deaths involving the devices back in 1995. Four years later, the agency formed a working group that involved manufacturers, patient advocates and researchers. At the time, the FDA mulled whether to require warning labels, but decided against that after receiving heavy push back from manufacturers. Voluntary guidelines were implemented back in 2006, directing nursing homes and hospitals on safe use. However, there have been more than a half dozen deaths since then. While we await new guidelines, it is recommended before installation that caregivers and nursing homes understand that not all bed rails are interchangeable. Bear in mind, they are not to be used as restraint devices, but rather to aid getting in and out of bed and preventing falls. Anyone whose loved one has suffered a bed-rail-related injury in New York should contact an experienced personal injury lawyer as soon as possible. Contact the Law Offices of James Morris in Buffalo today for a free consultation. Call 800-477-9044 or visit www.jamesmorrislaw.com. Attorney advertising. A woman involved in a low speed collision accident suffers whiplash on the day of the accident, this is a relatively mild condition that most people overcome in a few days, but her pain does not decrease, instead she develops severe burning sensations, sensitivity to hot, cold, light and even touch. She is devastated as daily activities she took for granted like cleaning, showering and even moving her limbs become more and more difficult. She suffers debilitating pain and is forced to take stronger and stronger medications to function. She can no longer work and has to rely on family members to do many tasks for her. Complex Regional Pain Syndrome can occur after relatively mild injuries such as whiplash or a sprain. Unfortunately, the mild nature of the accident or injuries often makes getting help difficult as family, friends and even some doctors may believe the victim is putting on an act or exaggerating the symptoms. Insurance companies use this to their advantage hiring their own doctors to cast doubt on a victim’s credibility. At the Law Offices of James Morris we believe you. We have seen the tragic effects CRPS can have on a person’s life and we have fought insurance companies who claim the initial injury was too mild to result in such pain. We have made them pay for the terrible pain and suffering our clients have endured. If you or a loved one is suffering with CRPS after an accident, I urge you to call the Law Offices of James Morris. We will fight on your side to get you the settlement you deserve. We have the experience, dedication and resources to help you through this difficult time. An article appeared in the Buffalo News today about teen driving habits, specifically teens driving while texting and emailing. The statistics in the article are alarming. Over half of the teens surveyed in a national study, conducted by the Centers for Disease Control, admitted to texting while driving. That number jumps to 58% when the study is narrowed to high school seniors. As we mentioned in a previous post on texting while driving the practice can significantly increase your risk of an accident while driving. This point is reinforced by another stat line from the Buffalo News article: Distracted driving accounts for 16% of teen motor vehicle deaths. Do your part to stop preventable car accidents. Be sure that you and your family are practicing safe driving techniques. Don’t text and drive. If you do find yourself in an accident due to a distracted driver, contact the law firm with over 100 years of combined personal injury experience in Buffalo. Call the Law Offices of James Morris at 716-855-1118. The Royal Society for the Prevention of Accidents estimates that roughly 60% of accidents at work go unreported every year. Many avoid reporting workplace accidents for fear of executive confrontation or simple lack of will. Despite the perceived burden of reporting a workplace accident, employees actually benefit from recording such incidents. For instance, if an employee seeks time-off for an accident at work, referencing a log of when the accident occurred is helpful in determining how much time off is needed to fully recover. Safety Training for New and Current Employees: As part of orientation, all employers should enforce a rigorous safety training session to assure that employees know what to do if a workplace accident occurs. Ongoing Safety Education: an initial safety orientation is a good start, but continuing safety education in the workplace at regular intervals can save employers thousands of dollars in the long run if a workplace accident were to occur. Monthly safety meetings, bulletin board reminders and occasional informational video sessions are all good ways of continuing an employee’s safety education. Provide Necessary Safety Equipment: easily the most obvious point on the list, but also the most important. Without necessary safety and first-aid equipment readily available, an accident in the workplace can go from bad to worse in minutes. Essential safety protection includes eye goggles, adhesive bandages and ear plugs. Proper Training for Specialized Machinery: if your organization uses any sort of occupational-specific machinery, necessary training in machinery function should be given to all employees who will use it. This sort of training should not occur on the job, but rather before the employee begins work. Texting while Driving threatens our safety behind the wheel. Unfortunately, little research exists to conclude the severity of damage texting while driving causes. The Governor’s Highway Safety Association (GHSA) however, released a definitive report last summer on distracted driving, pulling research from over 350 scientific papers published over the last decade. Much of their research focused on cell phone use while driving. Before we get into the conclusions of the GHSA’s research, here’s a brief overview of the different types of distracted driving. Fifteen to thirty percent of all crashes involve at least one distracted driver: this proportion may be even greater due to restrictions in generating data. 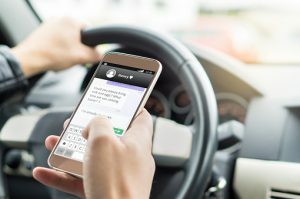 One eighth of all drivers admitted to texting and driving: the study also suggested that texting is likely to increase crash risk more so than traditional cell phone use. Due your part to stop preventable car accidents by shutting out distractions while driving. Should you fall victim to a distracted driver, contact a buffalo lawyer from a law firm with over 100 years of combined personal injury compensation experience. Call James Morris Law, 716-855-1118. 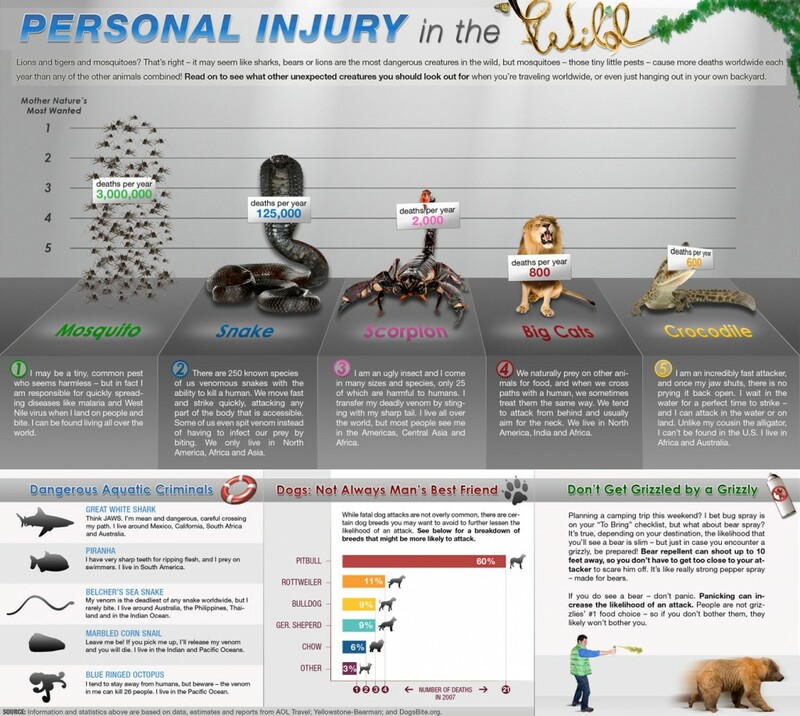 A Dog Bite Injury may be the Least of Your Worries. . . Teen Car Accident Injuries: What’s the Cause? 1. Teens are more likely to speed: In 2005, 37% of fatal car crashes involving 15-20 year olds were due to speeding. The presence of male teenage passengers increases this likelihood according to a study on the observed effects of teenage passengers on the risky driving behavior of teenage drivers. 2. Teens have the lowest rate of seatbelt use: a 2005 study confirmed that roughly 10% of teens admitted to rarely or never wearing a seat-belt, that percentage was even higher for male participants. 3. Teens are more likely to be in an accident at any BAC level: the CDC confirms that any elevated level of blood alcohol puts teens at a greater risk of a car accident than the rest of the population. Twenty-five percent of drivers age 15-20 who died in a car accident in 2008 had BAC levels of .08 or higher. 4. Teens are more likely to be in a car accident on the weekend: A 2008 study found that 56% of teenage fatal car accidents occurred on Friday, Saturday or Sunday. Fortunately, there is hope for teen drivers. Research suggests that 16-year-olds who enrolled in comprehensive graduated drivers licensing (GDL) programs slashed their risk of getting in an automobile accident by as much as 40%. An automobile accident can strike anyone at any time, not just teens. Should you, a child or a friend need a car accident attorney, call an attorney in buffalo from a law firm with over 100 years of combined personal injury experience. Call James Morris Law, 716-855-1118. Below you’ll find anything and everything you’ve ever needed to know about car accidents, car accident law and car accident injuries that we’ve posted on JamesMorrisBlog.com. Enjoy! 4. How much would a fatal car accident cost you? 7. Are teen car accidents higher in the summer? 9. What happens in a car accident with an uninsured motorist? 10. Most common type of car accidents in New York and its cause. 11. Teen Car Accidents: What’s the Cause? Our legal system is an adversary system. It is easy to become angry with opposing counsel or a Judge who disagrees with our position. As lawyers it is crucial that we act in a civil manner. Personal attacks are never warranted. We can condemn the conduct without name calling. While I admit to enjoying the humor of South Park or Family Guy, the often brutal verbal attacks on these shows involve cartoon characters and do not hurt people. By avoiding harsh attacks or crude language we improve our chances of reaching a resolution and improve our relationships. We are pleased to announce that the National Trial Lawyers Top 100 Trial Lawyers has extended an invitation to James Morris. This is an elite group of the top lawyers in New York. Membership in the organization is by invitation only and is extended to individuals who exemplify superior qualifications, trial results and leadership in their respective state. The Top 100 Trial Lawyers list is based on and limited to an average of 100 lawyers in each state. Membership in this organization allows the attorney to attend legal education conferences and share information and tactics with the country’s leading trial lawyers.